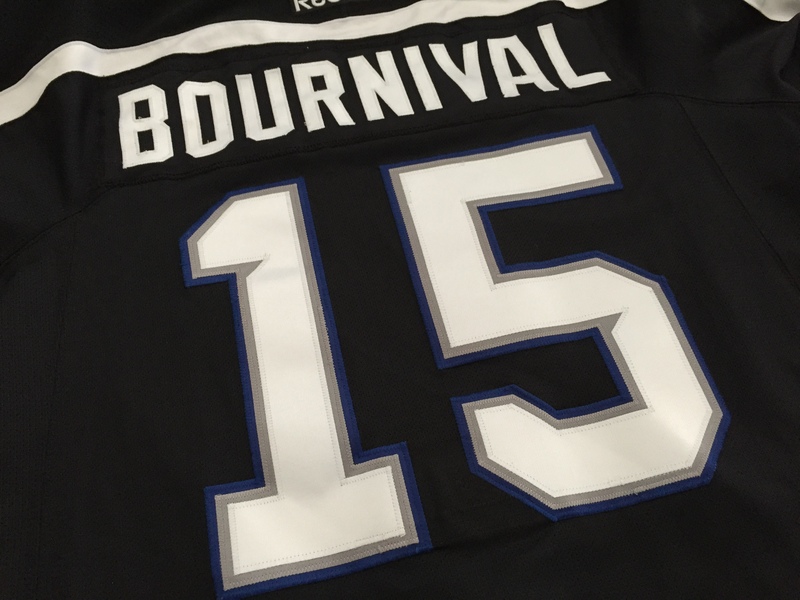 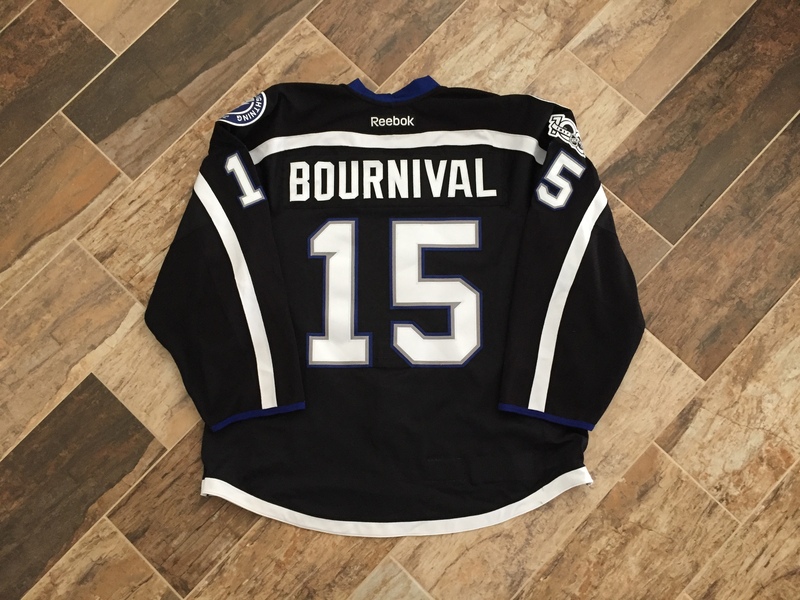 For a one game jersey, the wear is fairly impressive. 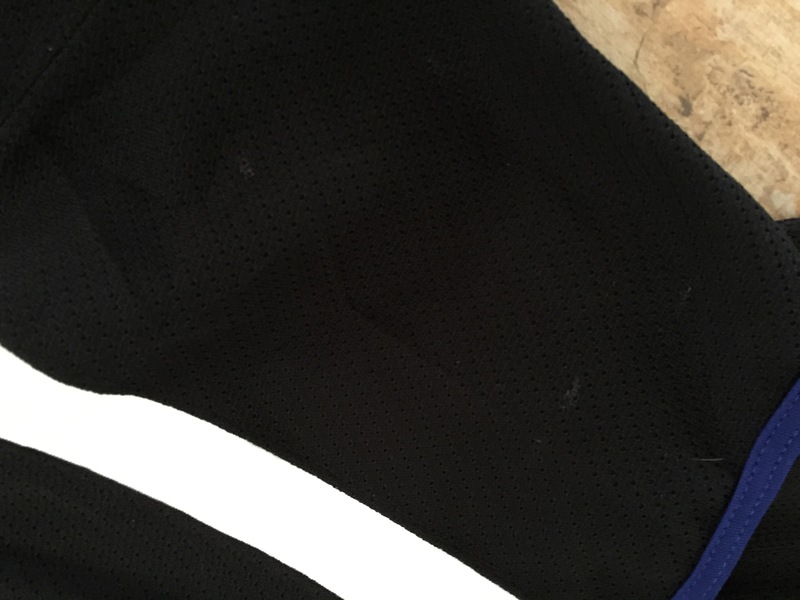 There are multiple board burns on both arms. 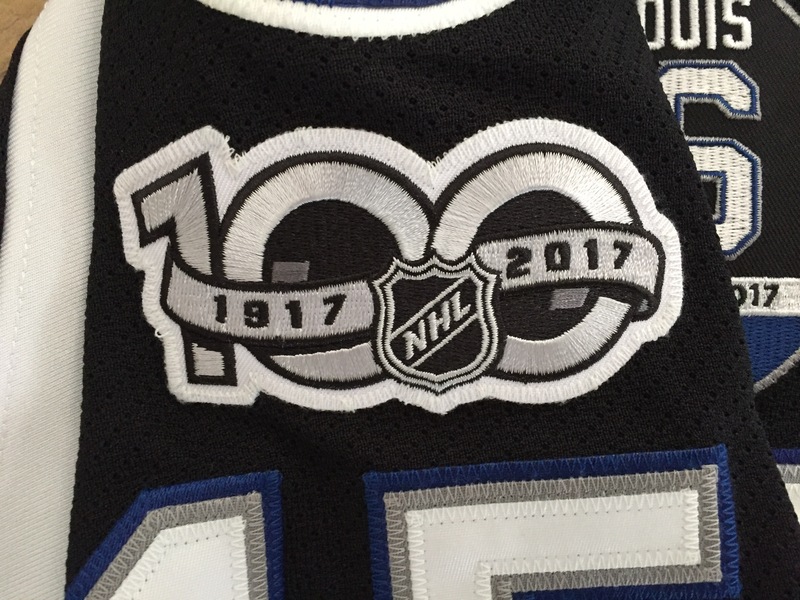 The Marty St Louis retirement logo patch is on the front upper chest while the NHL 100 Year patch is on the right arm. 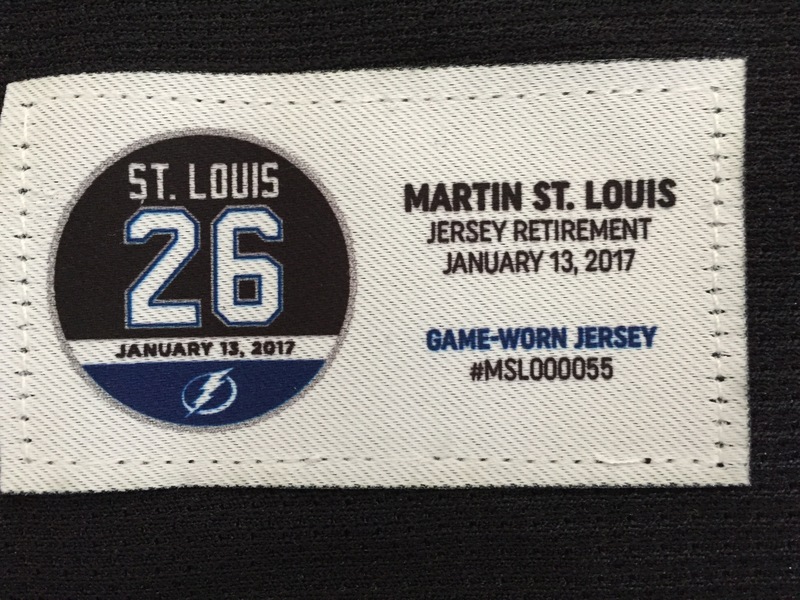 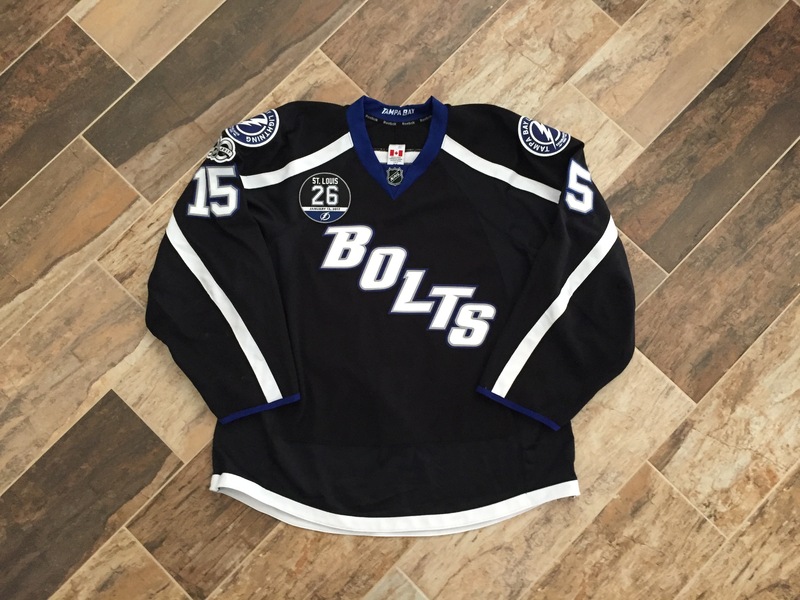 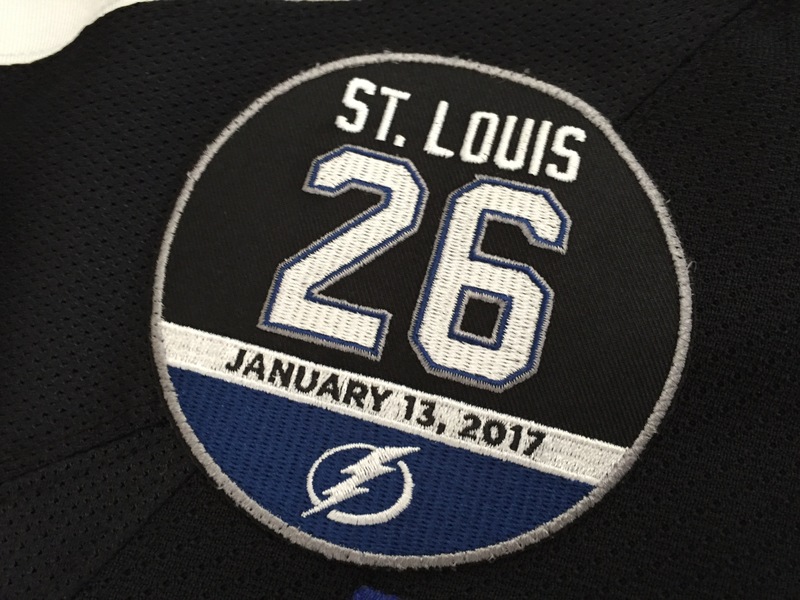 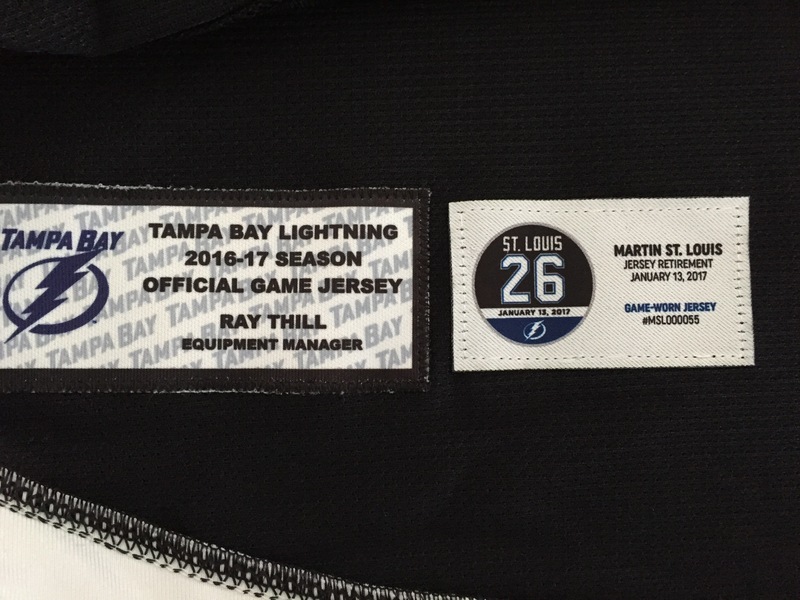 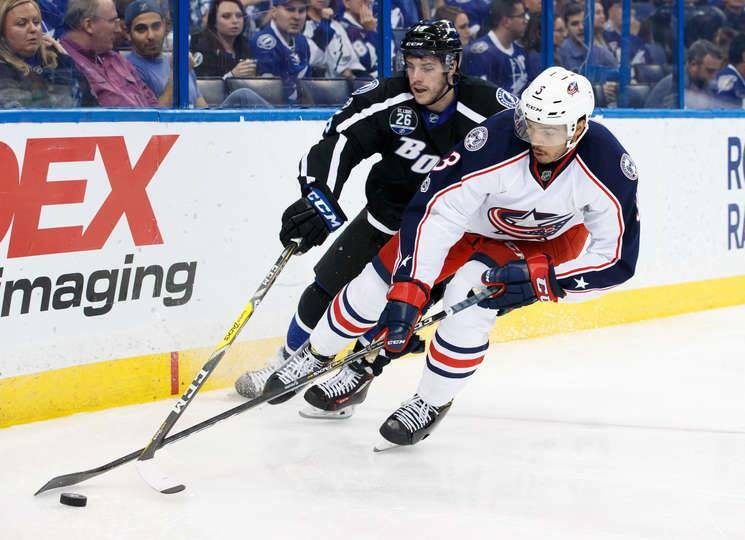 The inside hem has the team tagging as well as a Marty St Louis serial number tag that was placed in the jersey following the game.